It’s time to get patriotic and enjoy some barbeque, fireworks, and whole lot of red, white, and blue. 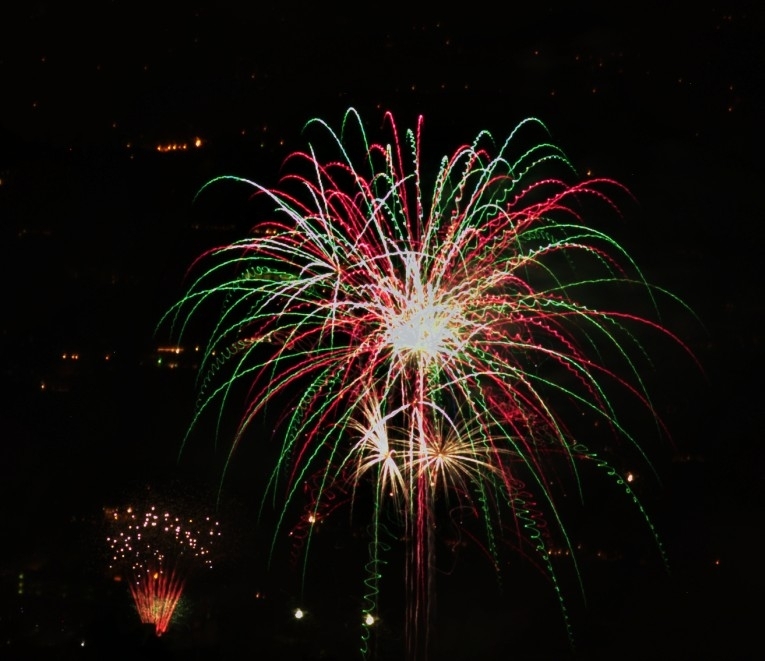 The Fourth of July is right around the corner and Metro provides Angelenos an easy way to get to celebrations of the nation’s 237th birthday. Take the Metro Red or Purple Line to Civic Center/Grand Park Station to join in on the 4th of July Block Party at Grand Park. Starting at 3 p.m., you can feast on All-American food from burger and ice cream food trucks and enjoy live music for free. Need some shades to view the fireworks? Go Metro and receive a free pair of sunglasses by showing your TAP card at the information booth. Iconic singer and songwriter Josh Groban joins the Los Angeles Philharmonic for the 4th of July Fireworks Spectacular at the Hollywood Bowl for a three-day celebration. This festivity offers a marvelous outdoor setting for good old-fashioned music and spectacular fireworks. Take the Metro Red Line to Hollywood/Highland and you can transfer to the Bowl Shuttle free with a valid Metro TAP card. Also by this weekend, Metro’s Expo and Gold Lines will be improved to run every 10 minutes after 7 p.m. To plan your route for Fourth of July festivities, use the Metro Trip Planner. Where will you be celebrating July 4th this year? Leave a comment! How late will Metro Trains run on the Fourth of July 2013? Thanks! As of right now, Metro Rail will be running normal Sunday/holiday service on the fourth (meaning service ends around midnight-ish). Fireworks shows are over around 10 p.m. so it shouldn’t be a problem…and technically, Friday is a work day. We’ll update if anything changes! There’s mention of just the fireworks show Civic Center/Grand Park and Hollywood Bowl, what about Long Beach? Long Beach fireworks at the Queen Mary begin at 9pm and most activities end around 11pm. What time does the LAST train leave downtown Long Beach headed for Los Angeles? Thanks for the tip on Long Beach, Sonia. The trains are running on a Sunday schedule on July 4. Please refer to this timetable (http://media.metro.net/riding_metro/bus_overview/images/801.pdf) for the accurate time the service to Long Beach ends. I believe that the Sunday schedule is on the 3rd page of the timetable. LASD is doing a two-day exercise, conducting patrol checks and drills at Union Station. That means they’ll be around tomorrow as well, but it shouldn’t get in the way of you going about your business on Metro! Since it seems metro still closes ridiculously early, I would not make the mistake of trying to see the Long Beach fireworks and get home via metro. I tried this a few years ago and got stuck with a bunch of people and I ended up sharing a cab back to Hollywood which was $130. Metro, isn’t it time to consider running extended hours on Holidays like the 4th of July? Why does LA Metro NOT have the metro rails running at least on a Fri./Sat. schedule on the 4th of July??? That makes NO sense??? Normally the day after the Fourth people would be working, but because the day after is a Friday a lot of people took that day off as well (in addition to those people who normally don’t work Fridays because of alternative work schedules). Changing schedules for a one off event is not a great practice. The 60 bus runs all night from Long Beach and is an option that people forget about, but it is there.